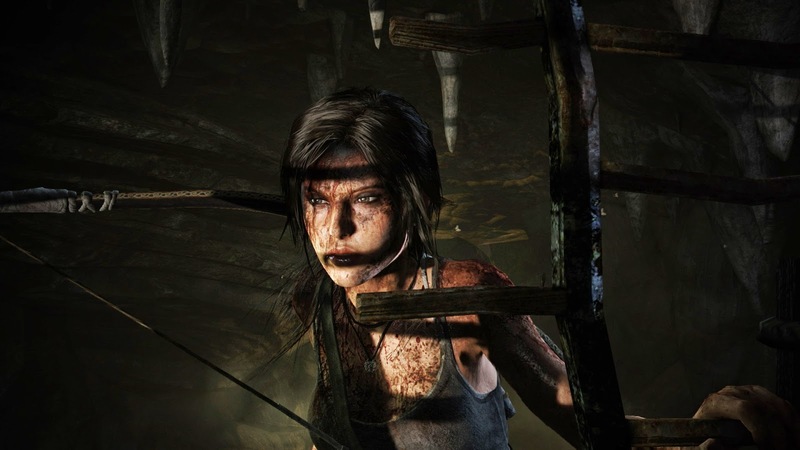 Square Enix’s leading lady made a huge comeback in the Tomb Raider reboot and now looks to bring that experience to the PlayStation 4 and Xbox One. 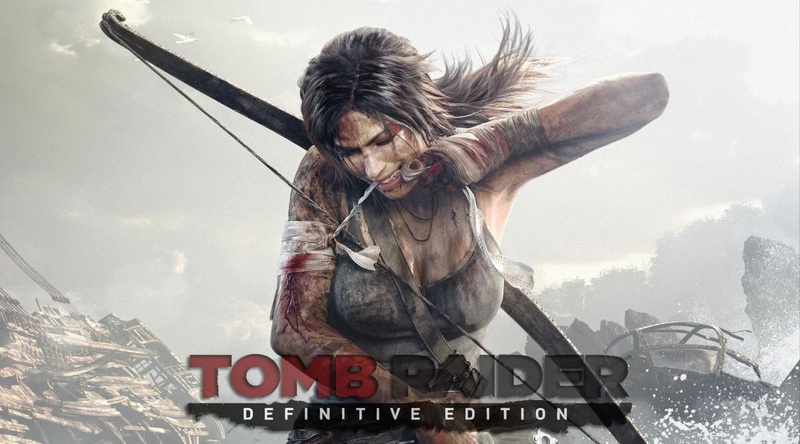 In terms of technical power, there’s a lot of room to work with here, however with a year between releases is Tomb Raider: Definitive Edition worth the adventure again in 1080p? Players who had the opportunity to give the PlayStation 3 and Xbox 360 versions a go will find nothing too different from the gameplay side of things and would look more into the visual upgrades, something I’ll touch on a little later. 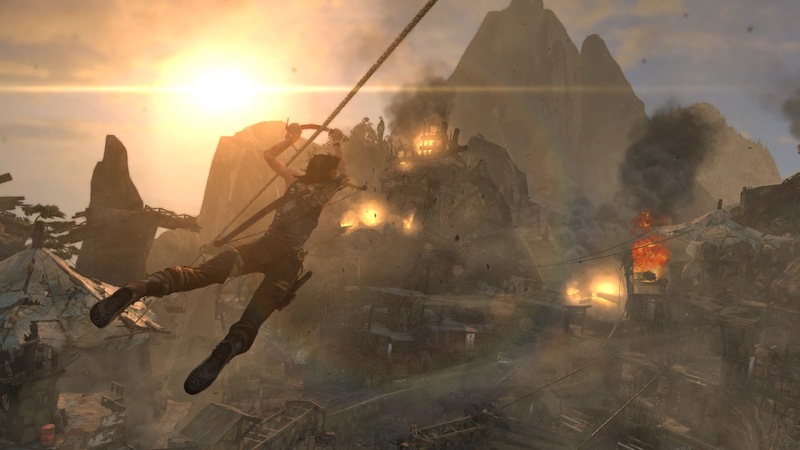 New players will indeed be playing the better console version; however it’s definitely not Tomb Raider as you remember it as there are far less tombs and a whole heck more of shooting, stealth and climbing… a lot of climbing. 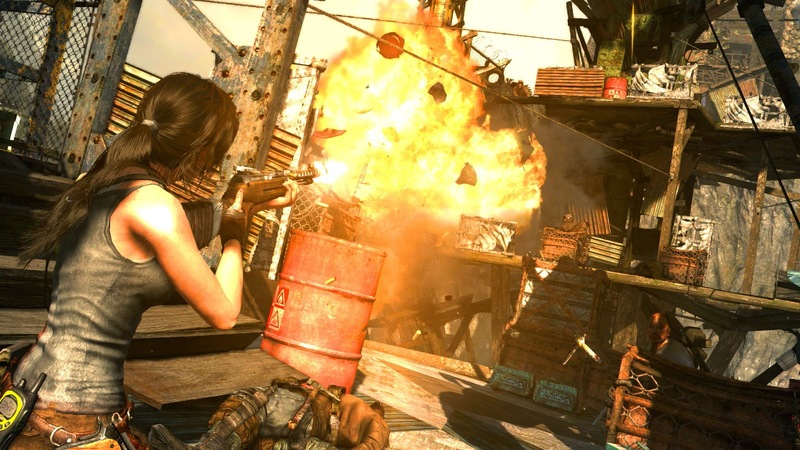 Lara becomes somewhat of a pyromaniac. A new feature added to the Definitive version of the game is voice control. This can be used to have Lara scroll through her weapons and depending on the situation, you can even mention if you want to keep things silent. You can also pause the game and move through the in game menu. A cool little addition, although one I feel will pass over really quickly not because of the feature itself, but due to the way it was included. I would have loved to see it become a more integral part of the gameplay, perhaps using it to call out and confuse enemies. The touch screen is used a little here too, where I found myself being able to light a torch by flicking it, pretty cool yes but I wish they could have expanded upon it in an even more awesome way. The biggest and most obvious change for the game comes in the form of its visuals as the devs look to add more depth and mystery to the island of Yamatai, as well as upgrades to character models. The island of itself seems even fuller with environmental pieces such as bushes and trees which help it become more lifelike. Shadows have a lot more impact and the lighting has been improved upon giving those set pieces even more boom and pizazz. Yamatai looks even better than before! Lara herself has had some work done and now sports a slightly more realistic look which allows the many emotional spins she goes through to come out a lot better. Honestly it took me a little while to get used to it, but once you it sunk in I preferred this version over the last. Sound wise, things are pretty much the same before however with the slight difference being that you can now have it come out of the controller’s speaker too. During my playthrough I found that the journal narrations came through it and really helped to make it stand out on its own, what with all the other background music already on. With the power of the new consoles comes 1080p and even better frame rate right? Yes it does as the PS4 version does indeed run at 60 FPS making everything look even more glorious. I’m sure at some points it would dip slightly below the mark however it would be very difficult to catch on to it, what with all the madness happening around you. When it comes to this version of the game, the focus has been on the smaller things rather than changing anything big, however it all adds up to make the game feel and look even better than before. Physics have been added to Lara’s weapons so they now react to her movements and Tress FX has been included as well, giving a slightly more realistic simulation of her hair. The environment also reacts a lot better to those insane weather conditions making the current gen version look motionless in comparison. Quite the facelift has been given and lighting is much better. For those who decided to skip on all the extra DLC content that came through, it’s now all available on the Definitive Edition disc. This includes the Multiplayer modes and costumes for Lara to wear. I only wish that something more could have been added to the single player portion to make it truly stand out. For those who are just picking it up, you’ll find that it’s a brilliant game that takes you on a thrill ride from beginning to end, however for those who have it on current gen; you’ll be seeing the game at its strongest visual look on consoles even though the adventure will be the same. For those curious enough it’s worth a look. So what did you think of Tomb Raider: Definitive Edition? Loving it on next gen consoles? Let us know in the comments or hit us up on the ever social of networks.